Whatever your travel needs in Australia may be, our private buses in Wodonga will get you there safely, comfortably and on time. We will provide you with any backup support necessary to make your trip memorable in the best possible way. Your only task will be to decide where to go to next and then drive there. 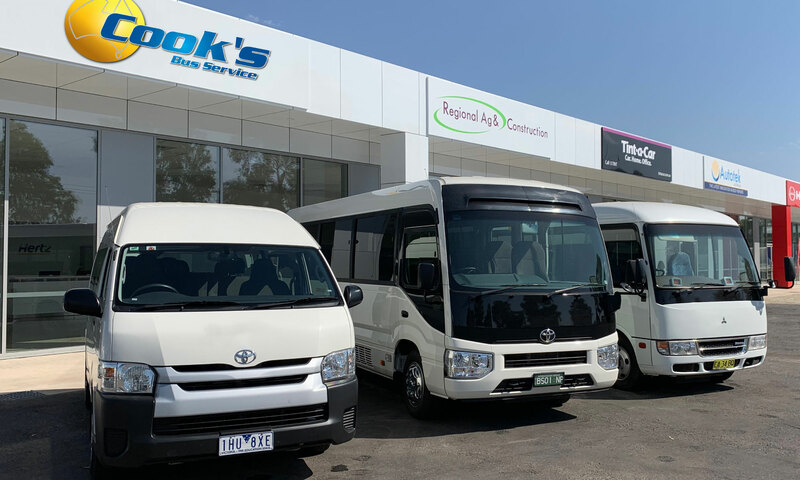 Cook’s Bus Service have been operating in the Albury/Wodonga region for the past 20 years. We offer a courteous and professional bus hire service available as self-drive or we can arrange a driver for you. Our Fleet of vehicles are constantly upgraded to ensure your experience whilst traveling with us is comfortable and safe. 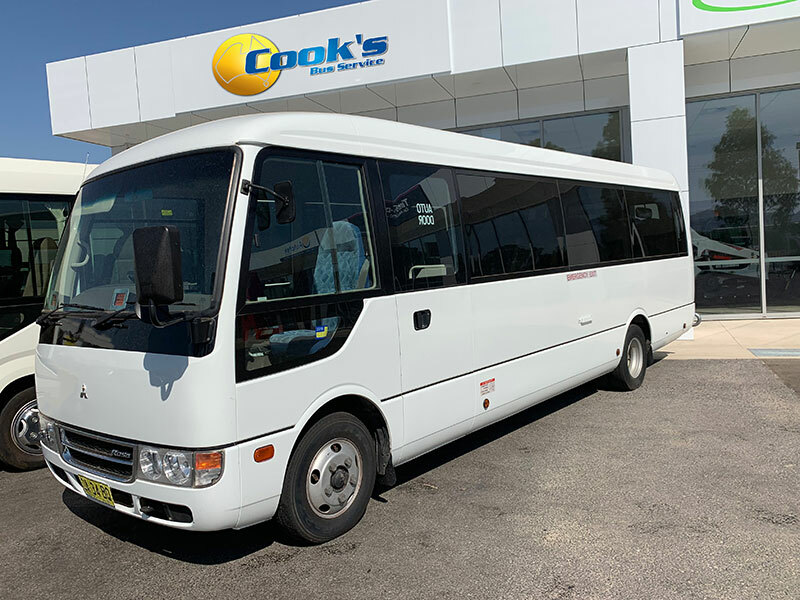 If you choose to have one of the Cook’s Bus Service staff take care of the driving for you rest assured that their primary concern is to ensure all travellers arrive to their destination safely. Our team is highly experienced in bus travel and are capable of short day trips right through to multiple days of travel. We are confident that you and your companions can trust our team whilst we are behind the wheel. If you do the driving, you can be assured that our private buses in Wodonga are fully maintained and in top condition to get you wherever you are going. All you have to do is collect the keys! Everything else, except the driving, will be done for you before you arrive. Cook’s Bus Service maintains a fleet of buses/mini buses you can rent for whatever length of time you require. 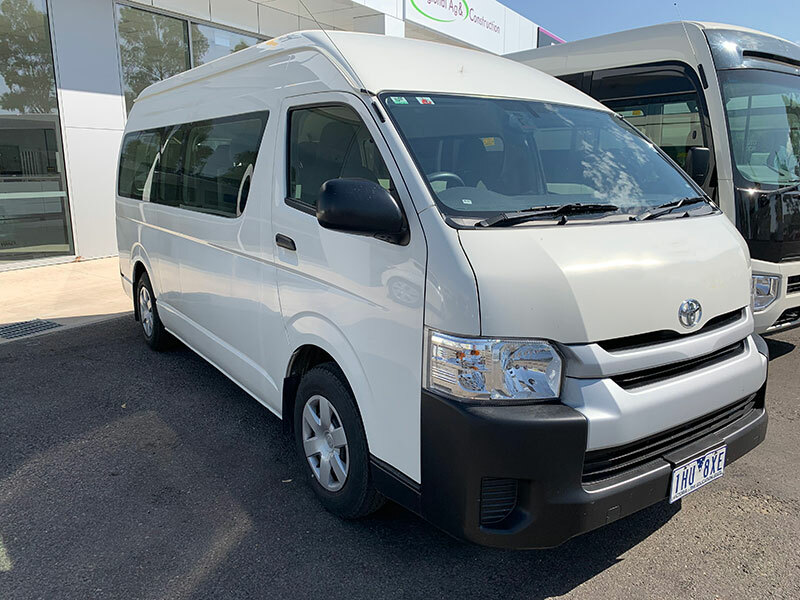 This is a great option for those who simply need dependable and comfortable transportation inbound through Australia, but may want to change directions and go where the wind blows them. If we do the driving, all you have to do is sit back, relax and enjoy wherever it is you are going. Our private buses in Wodonga are designed with your comfort in mind, right after your safety. We think you will agree that this order is the right one for everyone. Cook’s Bus Service can plan and schedule your sightseeing tour to the last detail, or work through the logistics of your own plan. Whether you are a private, corporate or school group, we know how to get you where you want to go, safely and on time. No matter who does the driving, all of our private buses in Wodonga have been checked, rechecked and fully maintained for safety and comfort. Cook’s Bus Service knows of no better way to get you there – and it helps that we are friendly and courteous, too. Call us and discuss with us all of your travel needs and we promise to make it as safe, comfortable and affordable as possible. anytime to discuss your bus hire needs. We are happy to provide an obligation free quote for your consideration.